Director and writer James Gunn has released the script for Marvel’s Guardians of the Galaxy Vol. 2, and revealed part of the process of its creation. “As promised, the Guardians of the Galaxy Vol. 2 script is now online,” he wrote in the first in a series of tweets about the film’s production. In subsequent tweets, Gunn noted that, due to improvisation and general cutting, there are some differences between the script and what appears in the film. Gunn also mentioned that he wrote nine screenplay drafts, four treatment drafts and a dozen other personal drafts in between. He “started writing the treatment/story on the day the first film came out,” although he had been taking notes for the the sequel since “before ever starting” on the original. “No, the draft for the first GotG is not available,” he added. 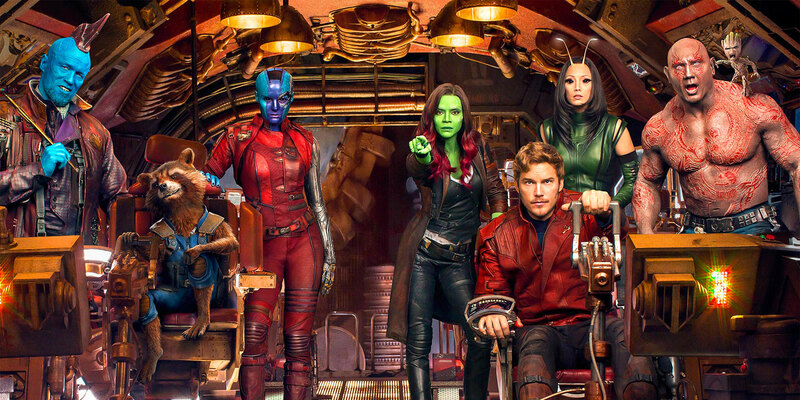 Gunn will write and direct Guardians of the Galaxy Vol. 3, which he said will hit theaters “in a little under 3 years.” In August, Gunn teased that the third installment will mark the end of “this iteration of the Guardians of the Galaxy” and that the film may explore Rocket Raccoon’s past. Written and directed by James Gunn, Guardians of the Galaxy Vol. 2 is out now on Digital HD from Amazon Video and iTunes and on DVD and Blu-ray. The movie stars Chris Pratt, Zoe Saldana, Dave Bautista, Vin Diesel, Bradley Cooper, Michael Rooker, Karen Gillan, Pom Klementieff, Elizabeth Debicki, Chris Sullivan, Sean Gunn, Sylvester Stallone and Kurt Russell.